Day 4: One Day More! Thank you all SO much for the cash infusions tonight. I am muchly revived and now I can press on! Keep up people. Bacon fried rice is so yesterday (or more accurately, so 3 days ago). We – the royal ‘we’, who liveth on the poverty line – have diversified. 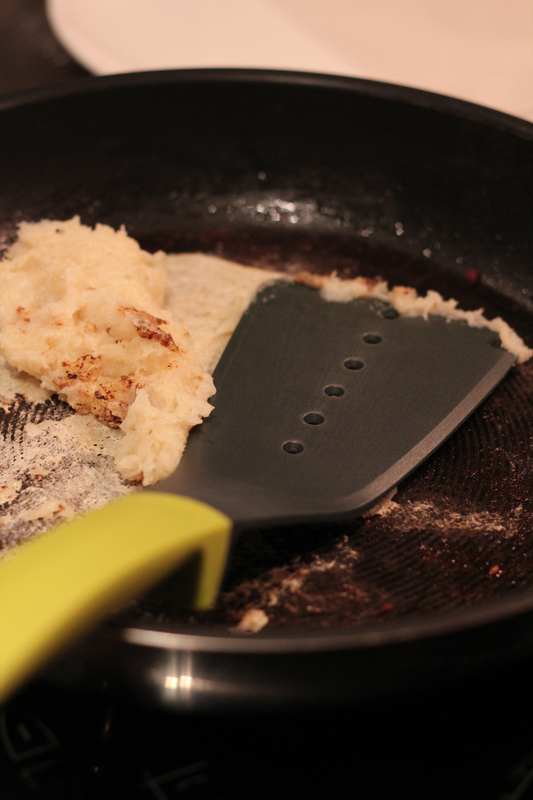 Frying pancakes using rendered bacon fat (to save on cooking oil) = bad outcome. Baaad. Outcome. Thanks to everyone’s generosity, I no longer feel like Éponine. On My Own no more! My condolences to the frying pan, R.I.P. 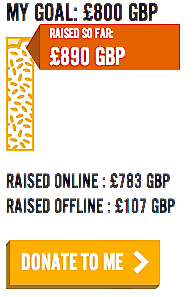 What an amazing amount to have raised, SO FAR … fantastic, Jo.